Environmental Protection Agency (EPA) administrator Lisa Jackson tells Bill Maher on HBO that literally trillions of dollars have been saved due to the EPA. Bill Maher: "It seems like even though we're living in the 21st century sometimes I feel like we're living in the Middle Ages because people feel like 'if I can't see it, it doesn't hurt me.' I mean, just tell us some of the statistics about first of all, how much economically?" 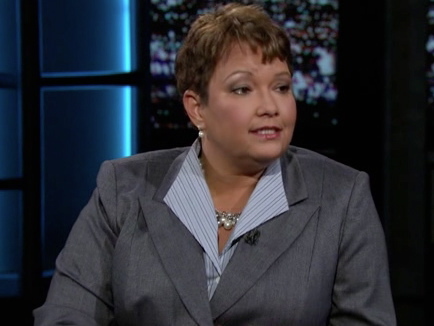 Lisa Jackson: "Trillions of dollars. The Clean Air Act alone has saved Americans trillions of dollars in healthcare costs. What kind of healthcare costs? This isn't theoretical. You know, air pollution is deadly. It is a main cause of premature death in this country. Premature death, you die. Talk about killing." Maher Says GOP Like Banks: "They Will Not Give A Black Man Credit"